The Cubs moved closer to clinching the National League Central on Sunday. Chicago took an early lead and cruised to a 6-1 win over the White Sox at Guaranteed Rate Field. The victory cut their magic number to clinch the division crown to five. The Cubs tallied three runs in the first inning and plated another one inning later on a solo home run by Kyle Schwarber. 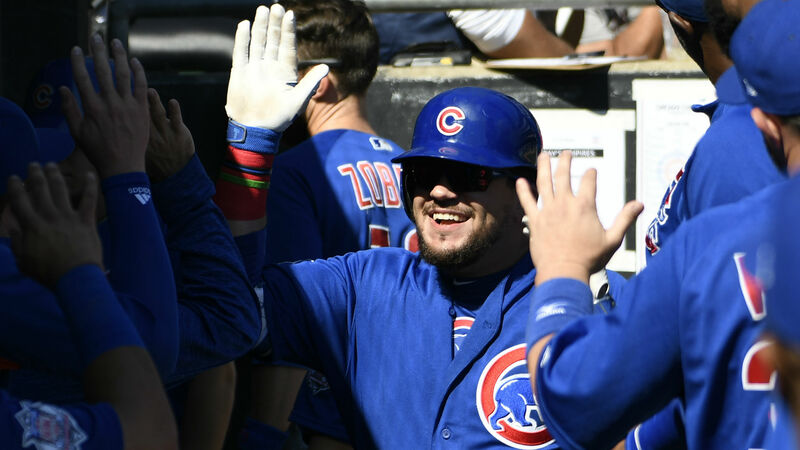 Schwarber and Ian Happ then followed with RBIs in the third to help the Cubs pull away. The White Sox scored their lone run on an RBI double by Tim Anderson in the fifth. Cubs starter Kyle Hendricks threw 7 2/3 innings and allowed just one run to pick up the victory. Five different Cubs players drove in at least one run in the game. Now throw your hands up in the sky. With the win, the Cubs remained 2 1/2 games in front of the Brewers for first in the NL Central with seven to play. Milwaukee topped the Pirates 13-6 Sunday. Rays starter Blake Snell secured his 21st win of the season by throwing 6 2/3 scoreless innings against the Blue Jays. Tampa Bay came away with a 5-2 victory. A volume amount of Ks for Blake today. Mets infielder Jeff McNeil tallied four hits in his team’s 8-6 win over the Nationals. He is hitting .340 this season. Pirates starter Nick Kingham surrendered five earned runs and recorded just four outs against the Brewers. Braves catcher Tyler Flowers went 0 for 3 with two strikeouts in his team’s 2-1 win over the Phillies. The Brewers scored three runs on a wild pitch against the Pirates in the sixth inning. Brewers (89-67) at Cardinals (87-69), 8:15 p.m. — These two teams would play each other in the National League wild-card game if the season ended today. Milwaukee enters the three-game series at Busch Stadium with a two-game advantage in the wild-card race while the Cardinals hold a slim lead over the Rockies for the second spot. Jack Flaherty (8-8, 3.08 ERA) is set to take the mound for St. Louis while the Brewers have yet to announce a starter.